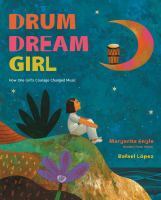 Drum Dream Girl, written by Margarita Engle & illustrated by Rafael Lopez. March 31, 2015. 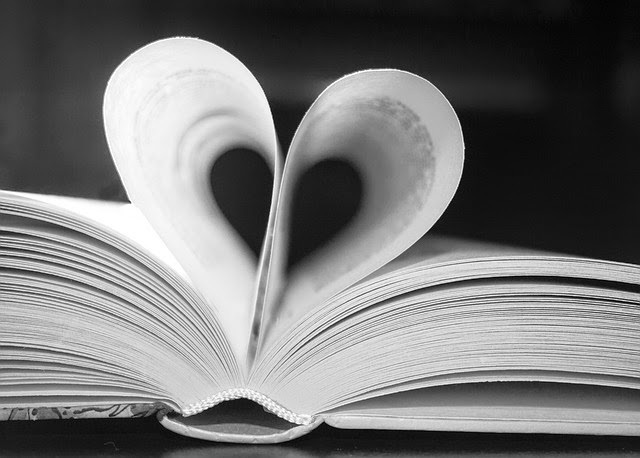 HMH Books for Young Readers. 48 pages. Ages 4 - 7. Long ago on a tropical island lived a young girl who dreamed of playing the drums. Unfortunately, where she lived only men could play the drums, but she continued to dream of making her own music. She dreamed of making her own music, and was asked to join her sisters' all-girl band as a drummer, but her father said "No." But still she dreamed of playing the drums and making her own music, and practiced in secret on her own. Eventually, her father relented and agreed to take her to a drum teacher and let the teacher decide if she should be allowed to play. The teacher was very impressed with how much she had already taught herself, and taught her even more. She kept practicing and learning until finally her teacher arranged for her to play in public, at a café. The people who heard her play enjoyed her music, and eventually it became accepted that girls could play the drums, and "both girls and boys should feel free to dream." This story was inspired the childhood of Millo Castro Zaldarriaga, a young Chinese-African-Cuban girl who successfully broke the cultural mores in Cuba against allowing girls to play drums in the 1930's and 40's. The story is told in a simple, flowing, non-rhyming prose and the vibrant illustrations do an excellent job of evoking the tropical island setting. This story presents such a positive message, about gender equality and especially about not giving up on your dreams, and that you can achieve your goals with patience, hard work, and perseverance. I also like how it shows diversity in the illustrations, portraying people from the varied mix of ethnicities that are found in Cuba, once again just showing diversity and people of color in a normal, everyday setting, without being preachy. It is no surprise that this book won the 2016 Pura Belpre Award. Margarita Engle also wrote The Surrender Tree, a 2009 Newbery Honor book, as well as several other Belpre award and honor books. Rafael Lopez won the 2010 Belpre medal for Book Fiesta! and has had several Belpre honor books as well.